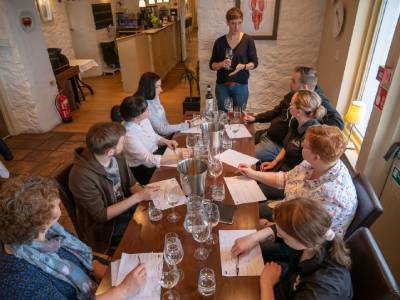 A wine training session for The Pierhouse team. 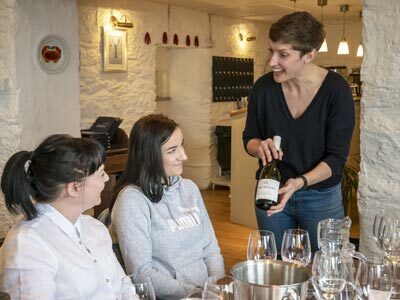 At a recent staff training session, Victoria from Alexander Wines took The Pierhouse team through the wines chosen for our 2019 wine list. This boutique wine selection is sourced by Alexander Wines from small, independent wineries across the globe. 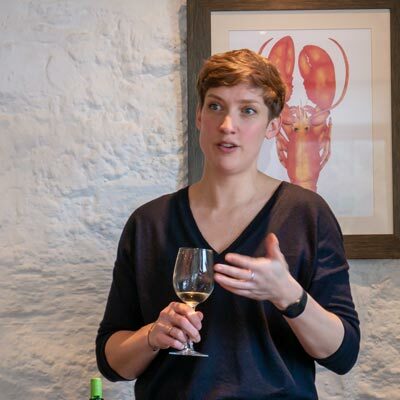 Fiona McLean, The Pierhouse General Manager commented "It was great to work with Victoria to create this new wine list which is full of interest and variety. The team training session gave us a real insight into the character of each of our new wines and how well they work with the dishes on our menus." The training session introduced the team to a fantastic choice of wines for every occasion – for guests to enjoy while sitting on the terrace enjoying a glass of something chilled along with the view, a sparkling aperitif before dining or the perfect bottle or glass to accompany our seafood, fish and meat dishes as well as desserts and cheese. The team heard about the lively, bubbly Digby Leander Rose - an English sparkling wine; the fascinating story of how the organic, biodynamic Pecorino Civitas, Lunaria is produced; appreciated the crisp, dry vibrancy of the Getariako Txakolina from the Basque region in northern Spain and noticed the ripe cherry notes and soft tannins of Devils Corner Pinot Noir from the cooler climes of Tasmania.